While the main cities and the metros are home for the bigger brands and those Chinese OEMs fighting it out for a prime spot in the Indian market, there is also another market in the Tier 2 and 3 cities where all that buyers care about is a decent phone that is priced rock bottom. And in case something goes wrong, the guy next door sitting in a tiny box shop will have a make shift plan to get it running. This is a market place for the feature phones (yes they still sell in some parts of the world!) for the not-so-tech savvy crowd. Catering to such crowd along with the likes of Karbonn, Micromax, Intex et all is ITEL, a company from Transsion Holdings Conglomerate. ITEL earlier today announced that they’ve now sold over 1 Million handsets and this they’ve achieved in just a matter of 2 months of going live as a company. The range of products offered by itel surrounds communication devices of which there are 10+ models of phones that range from around 2000 INR to 10000 INR or less that has 8 feature phones and 7 smartphones. As you can tell from the price, the devices are targeted at value conscious customers who want a good working phone with simple options. 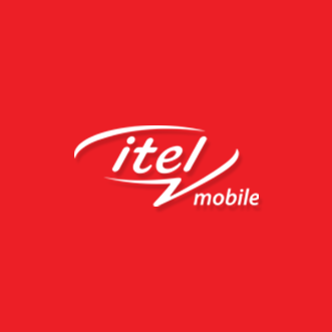 To celebrate this milestone, ITEL has announced that they’d open more than 1000 service centers in India and also start offering a 100 day REPLACEMENT policy for their phones which would attract a lots of potential buyers in the regions they operate in such as Uttar Pradesh East, Uttar Pradesh West, Gujarat, Jammu and Kashmir, Bihar, Jharkhand, Punjab, Uttarakhand, Delhi, Rajasthan, Haryana and Himachal Pradesh. Building on the current success, ITEL now wants to move into the next wave of reaching the 2 million milestone but expanding its selling regions to Maharashtra, West Bengal, Andhra Pradesh, Telangana, Tamil Nadu, Kerala, Madhya Pradesh, Chhattisgarh, Orissa and North eastern states. And not just in India, ITEL also has a decent market share in Africa as well, securing a rank of 51 in the 100 most admired brands in Africa for the year 2015.